The idea of establishing a Polish national football association came only after Poland had itself re-emerged as a bonafide country at the end of World War I. Although some clubs had already been established within the partitioned parts of Poland, it took them two years to meet and create what is now known as the PZPN (Polish FA) at the end of 1920. The first championship was won by Cracovia, from Kraków, in 1921. The Polish side’s first international came on December 18, 1921. Due to the complicated political situation of the time, only several countries could be approached for a match, most of whom turned the opportunity down. With the selection process taking shape, thirteen players took the 36-hour trip to Hungary to play there. The subsequent narrow defeat was regarded as a good result – after all, Poland was yet to join FIFA and Hungary were playing their 80th international match. Despite an impressive appearance at the Olympics in 1936 (fourth place), the first important tournament for Poland was the 1938 World Cup in France. Fate was not on Poland’s side, as the draw put them up against the mighty Brazil and even today this match is still regarded as a classic. The first half was all Brazil as the Canarinhos, led by the legendary Leonidas, took a 3-1 lead into half-time. But the second half was time for the Ernest Wilimowski show as he scored three times to earn his team a draw and extra-time. As legend goes, Leonidas played bare-footed in extra time and completed his hat-trick with two fine strikes, cancelling out a fourth Wilimowski goal. Wilimowski’s legacy is still much debated in Poland despite his record of 10 goals in a game still being a Polish league record. As a Silesian and native German (like Podolski and Klose in modern day football), Wilimowski went onto represent Germany before finishing his career and settling there after the war. It took a while for the national team to settle after the disastrous effects of the Second World War, yet by the late fifties, several new stars were born that would lead the team into the next few decades including names such as Ernest Pohl, Gerard Cieślik and Lucjan Brychczy. 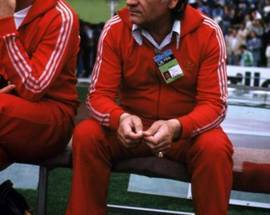 It took a further ten years, however, and the appointment of coach Kazimierz Górski in 1970 to make Poland a stronger team. Only eighteen months into the job Górski had led his side to the gold medal at the 1972 Olympics in Munich, with Kazimierz Deyna (later of Manchester City) scoring twice in an exciting 2-1 win over Hungary in the final. Just a year later, one of the most famous matches in Poland’s history was played at Wembley. 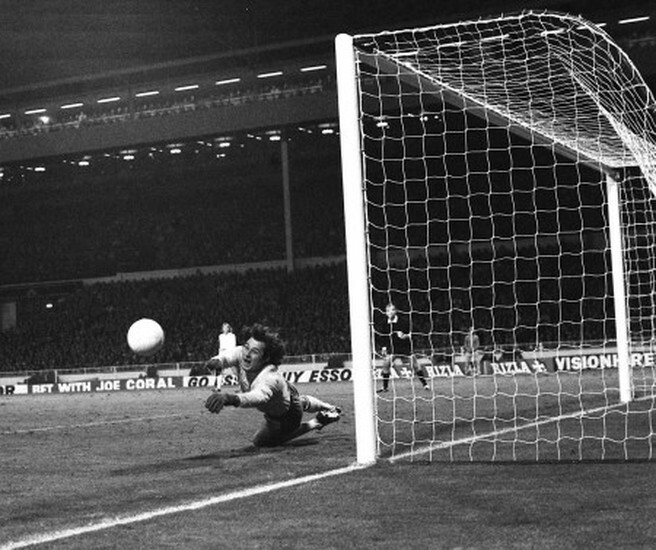 After a heroic performance from goalkeeper Jan Tomaszewski – nicknamed 'the clown' by Brian Clough – a one-all draw was enough to earn Górski’s side a place at the 1974 World Cup finals. Impressive performances in West Germany, including defeats of Argentina and Italy and a 7-0 thumping of Haiti in the group stage, saw Poland up against the West German hosts in the semi-final. The match was played in horrible conditions on a water-logged pitch (many Polish fans will still claim the Germans watered the pitch despite heavy rain to nullify the Poles’ passing game) with the only goal of the game coming from Gerd Muller. In the match for third-place Poland were better than Brazil and Grzegorz Lato, who went onto become president of the Polish FA, scored his seventh goal of the tournament winning the Golden Boot in the process (incidentally beating his strike partner Andrzej Szarmach, whose tally stood at 6). After winning the silver medal at the 1976 Olympics, qualification for the 1978 World Cup quickly followed. An impressive start put Jacek Gmoch’s squad through to the second round, but a win over Peru was not enough following defeats to Argentina (0-2, with Deyna missing a penalty) and Brazil (1-2). 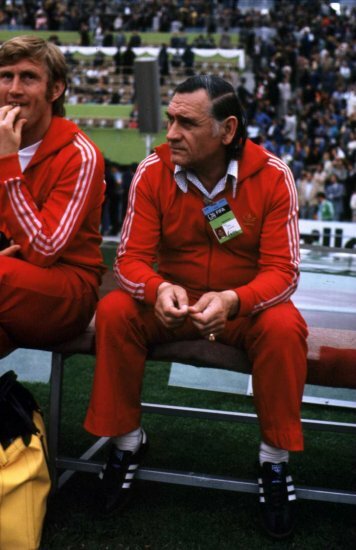 A new head-coach, Antoni Piechniczek, was brought in during 1981 to try to unite an unsettled camp but as he took over the team, Martial Law was introduced in Poland hitting his team’s preparations for the 1982 World Cup. With only domestic players available, Poland started with two goalless draws but then a 5-1 win over Peru saw them advance. In the next round, a fantastic performance from hat-trick hero Zbigniew Boniek gave Poland a 3-0 win over Belgium, while a solid 0-0 draw with the Soviet Union won them another semi-final place. Crucially denied the skills of the suspended Boniek, Poland suffered a 0-2 defeat to eventual winners Italy, yet an exciting 3-2 win over France in the third-place game was still regarded as a huge success back in Poland. Poland missed out on qualification for the 1984 European Championships, while the most important legacy of a disappointing performance in the 1986 World Cup – where an early exit was confirmed after a Gary Lineker inspired 0-3 defeat to England – was ‘Boniek’s curse.’ The then Roma striker concluded that Poles wouldn’t see their team again at a major tournament for sixteen years. Boniek was right. The 1990s witnessed the waste of a wonderful young team - silver medallists at the 1992 Olympics in Barcelona. With the domestic game sinking deeper into corruption, fans watched the disappearance of Polish clubs from the group stage of the Champions League (Widzew Łódź were the last, in 1996). Boniek’s curse ended when Jerzy Engel’s team were the first European team to qualify for the 2002 World Cup, but disastrous performances against Korea (0-2) and Portugal (0-4) meant it was a short trip. Similarly poor performances meant that Poland failed to advance beyond the group stage at the 2006 World Cup finals in Germany. The Polish FA decided that it was time to give a foreign coach a chance. Dutchman Leo Beenhakker took on the role and he inspired the team during Euro 2008 qualification, winning 2-1 in style against Portugal thanks to Ebi Smolarek’s brace. Unfortunately, while Poland yet again had enough class to qualify for the finals they could not advance from their group once at the tournament. Failure in qualification for the 2010 World Cup saw the Dutchman unceremoniously sacked live on TV, a few minutes after the 0-3 away defeat to Slovenia, by the Polish FA president, Grzegorz Lato. For Polish football fans, the last match of the 2010 World Cup qualification campaign was a perfect example of how low the country's footballing stock had sunk. A 0-1 home defeat to Slovakia, played in snow in front of just a few thousand people, was the bitter end for a team that gave Poland no hope for the rapidly approaching Euro 2012 finals, which would be played on home soil as Poland co-hosted the tournament with Ukraine. 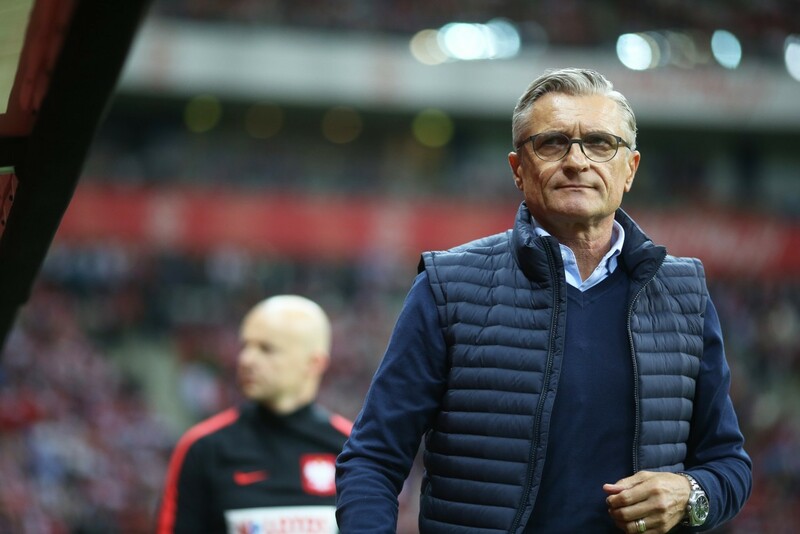 The unenviable task of reviving belief in time for the historic tournament was given to Franciszek Smuda, who had previously impressed in domestic football at Lech Poznań. 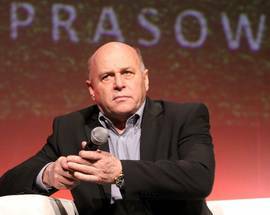 Smuda originally received strong support from both the Polish media and fans, but criticism was soon raised over a number of different issues. 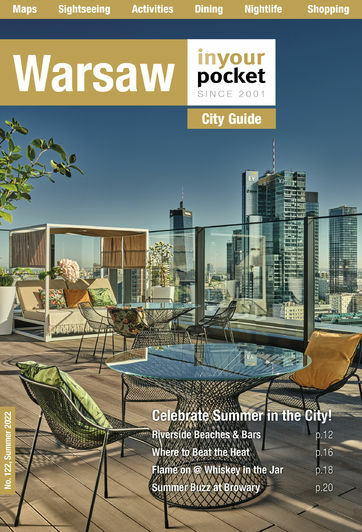 Two strong personalities and key members of the side were kicked out of the squad – Artur Boruc of Fiorentina and Michał Żewłakow of Legia Warszawa – for allegedly drinking on the plane back from a tour of the United States. 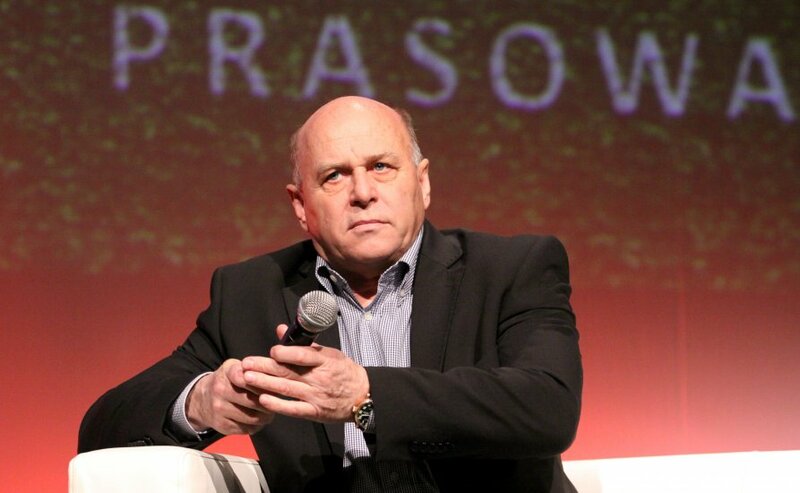 Then the Polish tabloids reported Maciej Iwański and Sławomir Peszko had been accused of spending the night drinking after a game against Australia before abusing Smuda’s coaching staff. The latter was allowed back into the team, yet was held by police in Germany in early 2012 following a drunken row with a taxi driver after a game for his club side Cologne. The Euro2012 tournament came and went in a blur during June 2012, and though Poland (the country) proved many doubters in the foreign media wrong by co-hosting what was widely agreed to have been a wonderfully successful tournament, Poland (the football side) failed to get over the first hurdle. The hosts' failure to advance from the weakest group at the tournament (dubbed the ‘Group of Dreams’ at the time of its announcement) only demonstrated how far the quality of Polish football had fallen since the halcyon days of the 70s and early 80s. 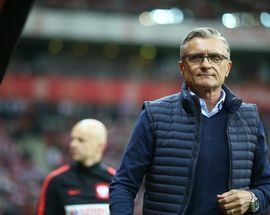 Smuda was replaced in 2012 by Waldemar Fornalik, who had taken Ruch Chorzów to 2nd place in the Polish league in 2011/12, however, his fortunes with the national team were not as illustrious and after a set of poor results, he was replaced just one year later with Adam Nawałka...and it was with him that the national team experienced a 'new era', with the Euro 2016 championship being the high point of recent fortunes of the international team, only losing in the quarter finals 5-3 on penalties to eventual winners Portugal. As for the World Cup in 2018 (Poland's first time qualifying since 2002)...well, it didn't quite go as everyone had hoped, with Poland losing the first two games in the group stages to Senegal and Colombia, and only salvaging a win against Japan in the final game, at which point Poland had already been knocked out of the tournament. With most of the national side playing their club football abroad, you won’t be able to see most of the star names while you are visiting. That said, with a number of players progressing to international stardom such as Robert Lewandowski, Łukasz Piszczek, and previously Jakub ‘Kuba’ Blaszczykowski - all of whom started their professional careers in the Polish league, there is a great chance that you may come across a future star of a foreign league while at a Polish league game. The painful truth is that while results of Polish clubs in Europe have improved slightly in recent seasons, the standard of Polish club football is still rather poor. The investment in new stadia and low ticket prices make watching a game here very affordable, but the low revenues and poor TV deal (in comparison to the money paid for western European broadcasting rights) make the quality you should expect comparatively low.